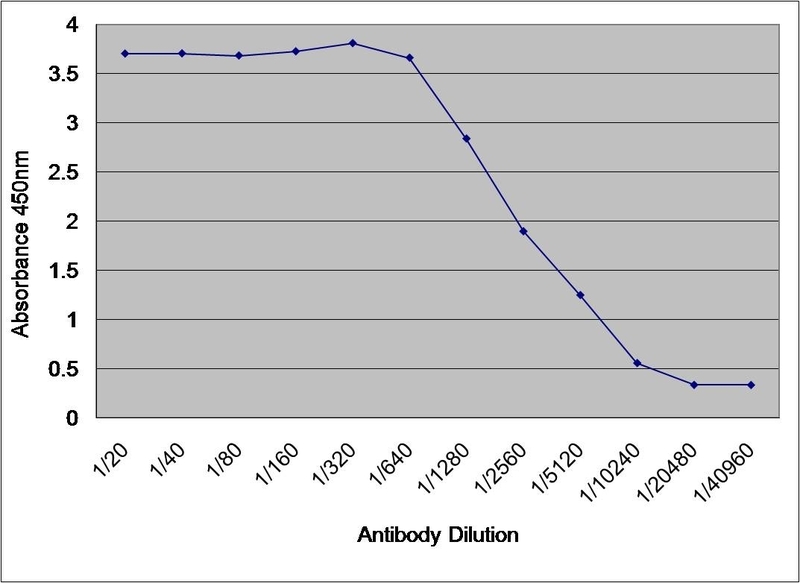 Sandwich ELISA analysis of albumin binding usiing Mouse anti Human albumin (0300-0080) as a capture reagent and biotinylated Sheep anti Human albumin (AHP1790) as a detection reagent with human albumin purified from urine (PHP149) as antigen. Detection is by HRP conjugated Streptavidin and substrate. Microtitre plate is read at O.D. 450 nm on the Bio-Rad iMark Microplate Absorbance Reader (Bio-Rad Catalog 168-1135). Serum sample is displayed at 500- (Green), 2500- (Red) , and 5000- (Blue) fold dilutions. Plasma sample is displayed at 30000 (Green) and 60000 (Red) fold dilutions. Sheep anti Human serum albumin antibody recognizes human albumin, a soluble protein which constitutes approximately 50% of blood serum protein, acting as a regulator of blood colloidal osmotic pressure and hence blood volume. Albumin is also an important transporter of substances within the bloodstream, such as fatty acids, thyroid hormones, metal ions and steroids. Antisera to human albumin were raised by repeated immunisations of sheep with highly purified antigen. Purified IgG prepared by affinity chromatography. Native human serum albumin, 99% pure as assayed by agarose electrophoresis.